I haven’t written on this blog for a while, so today I though that I would write about a really cool lizard called the Egyptian spiny-tailed lizard. Also known as Egyptian mastigures, these large lizards grow up to 76 cm long and are the largest member of their family. They live in small colonies in a series of burrows that protect them from predators and the heat. They come out during the day to feed on flowers, leaves, fruit and seeds. At breeding time, Egyptian spiny-tailed lizards lay 10-40 eggs. After hatching, many of the babies are eaten by birds, snakes and other lizards. Those that survive can live for over 30 years. 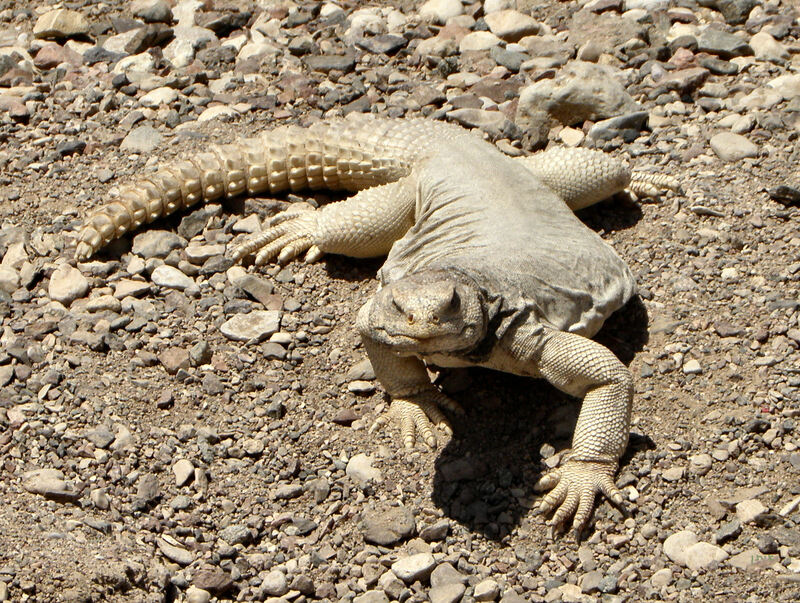 Egyptian spiny-tailed lizards are found in sandy, rocky areas throughout northern Africa and the Middle East. They are considered vulnerable to extinction due to habitat loss and poaching for the pet trade. Are there any other interesting facts that you would like to share about Egyptian spiny-tailed lizards?